Magnet + Apple Watch Edition = too much money. Some were outraged about the $10,000 cost of the Apple Watch Edition, but will people really race to see one of the glittery timepieces get obliterated by powerful neodymium magnets? Oddball YouTube stress-tester TechRax clearly hopes so, because he recently plonked down the money to carry out just such an “experiment” in his quest for views. Check out the resulting video below. Seriously, how does this guy get his money? TechRax, for those unfamiliar with him, is the Ukrainian YouTuber previously best-known for assaulting new iPhones with DeWalt angle grinders and dropping them in lava lamps — all in the interests of science, you understand! 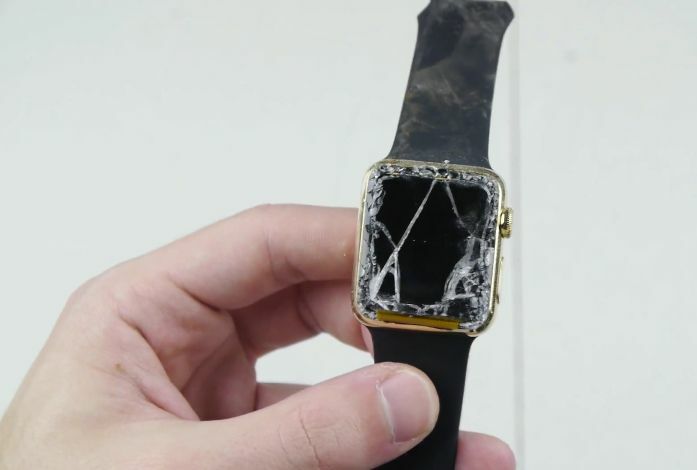 The biggest surprise about this latest stress test, however, is that the Apple Watch Edition proves a bit more durable than you might think. While the Watch is unsurprisingly ruined by the massive impact of the two magnets — equaling 650 pounds of force — the gold remains largely undamaged. More amazingly still, when TechRax puts it back in the box and connects the charger, the device emits an audio acknowledgement showing that it’s not completely destroyed. Better or worse use of money than giving two Apple Watch Editions to your pet dog? You decide.